Islamic Architecture in China, Chinese Islamic Architecture, Islamic & Arabic Style Buildings in China. It is said that four of Prophet Mohammad’s followers were dispatched to China along the marine Silk Road during China’s Tang Dynasty. One arrived in Guangzhou, one arrived in Yangzhou and two arrived in Quanzhou. 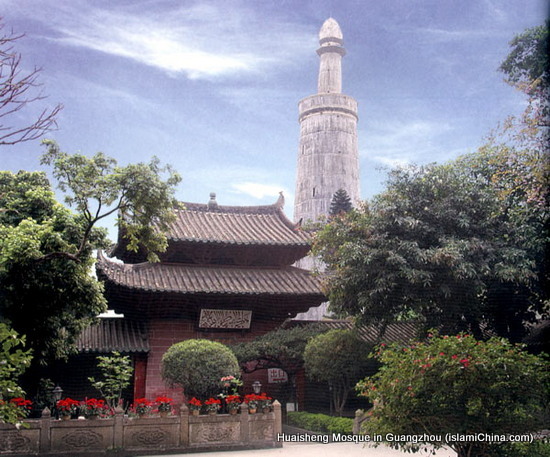 Sa'ad ibn abi Waqqaas, a maternal uncle of the Holy Prophet Mohammad even traveled from Guangzhou to the Chinese capital city of Chang’an (present-day Xi’an) where he met Tang Dynasty Chinese emperor Gaozong who officially agreed the practice of Islam in China. 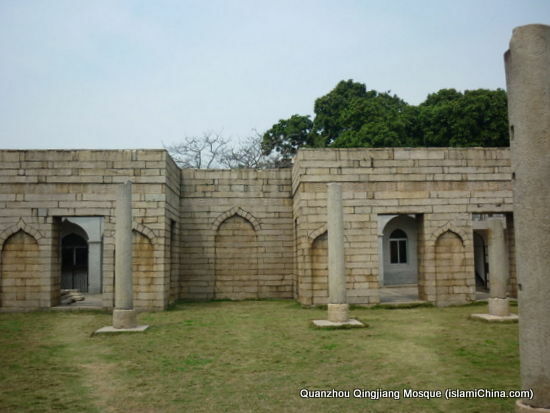 When Waqqas went back to Guangzhou, he had the very first mosque built, the Huaisheng Mosque (Mosque in Memory of the Holy Prophet). Huaisheng Mosque resembles some of the early Middle East architectural features of mosques. 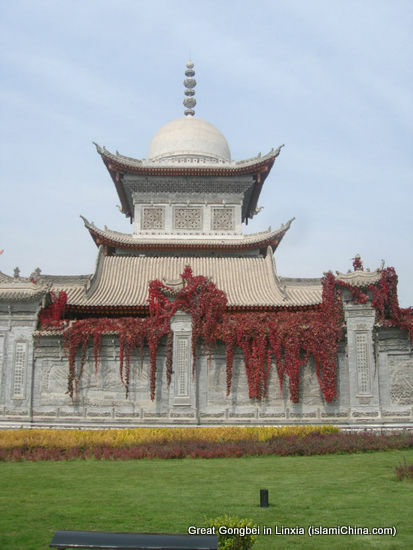 Islamic architecture in China can be divided into the following categories: mosque architecture; architecture of Muslim sage’s tomb construction and madrasa architecture. Before the introduction of Islam into China in 652AD, Chinese people mostly believed in Buddhism and Taoism. As a matter of fact, when the emperor Waqqas met in Chang’an believed in Taoism. 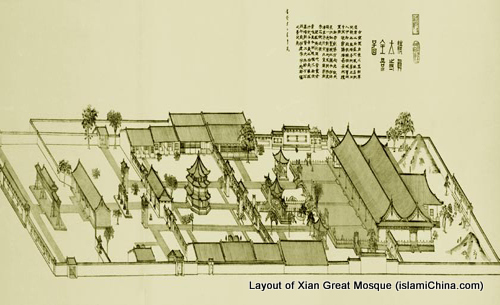 In order to convert more Chinese to believe in Islam, mosques were built according to the layout of Chinese Buddhist temples or Confucius Temple with main buildings constructed on central axis, less important buildings were built on the sides; a mosque was normally formed by at least two or four courtyards. 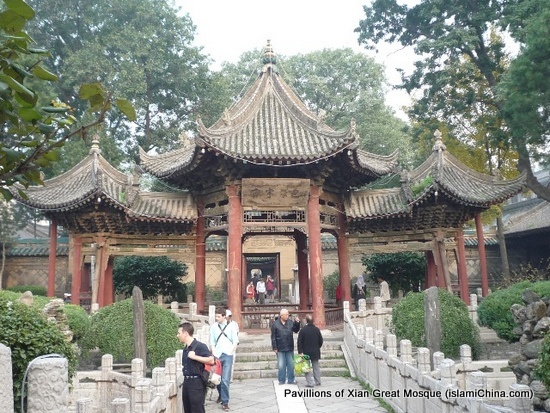 The best example of this style is Xian’s Great Mosque (built in 742). Since Kabba is to the west of China, unlike all the Buddhist and Confucius temples where central axis are south to north direction, the central axis of Chinese mosques were built east to west. In coastal areas of China, due to the fact that coastal cities were located far away (over thousands of kilometers) from the capital cities of China (mostly along the Yellow River valley area), those Arabian and Persian traders might have more choices to build mosques according to traditional Islamic mosque styles of the Middle East. For example, the Qingjing Mosque in Quanzhou is said to be built using some of the blue prints of the Umayyad Mosque, also known as the Great Mosque of Damascus. 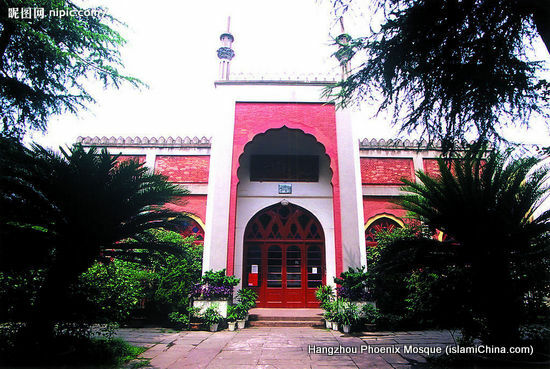 You may also see some influence of early Middle East architecture on Hangzhou’s Phoenix Mosque. Due to its geographical location of being much closer to the Middle East, Xinjiang which shares borders with Pakistan, Kazakhstan, Kyrgyzstan,Tajikistan, Afghanistan, Pakistan and India. 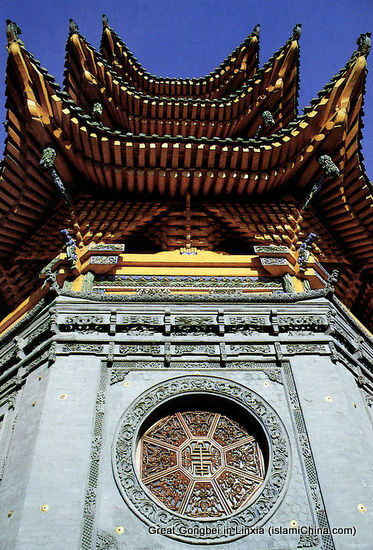 Xinjiang mosques were deeply influenced by traditional Middle East architectural styles. 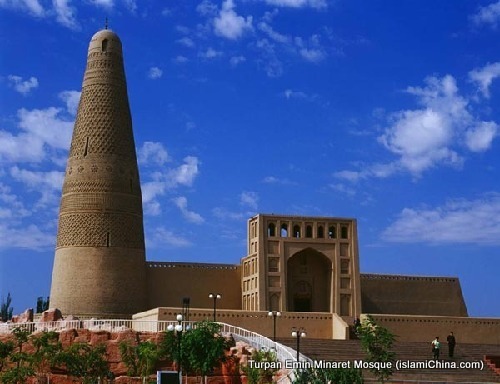 However, local Uyghur architectural styles can also be found at some of the mosques in Xinjiang such as Emin Minaret in Turpan. Gongbei from the Persian word Gonbad, is a term used by Hui Muslim people (Chinese speaking Muslims) in Northwest China’s Gansu, Qinghai and Ningxia Provinces for an Islamic shrine complex centered around a tomb of a Sufi master. Once traveling to Linxia, nicknamed Little Mecca in China by Chinese Hui Muslims, you will find the following Gongbei: Da Gongbe (Great Gongbei); Tai Baba Gongbei; Huasi Gongbei and Yu Baba Gongbei. 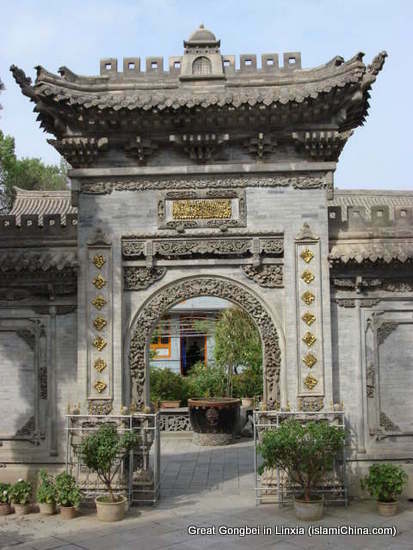 Muslim shrines’ tomb in Xinjiang is named Mazars. 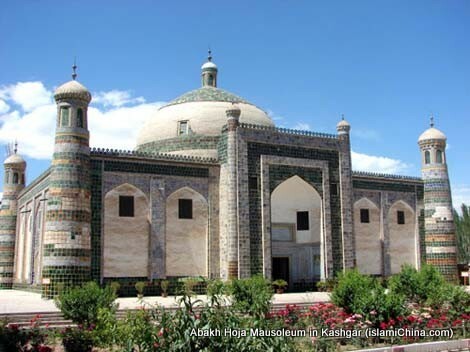 The best example is Kashgar’s Abakh Hoja Mausoleum.